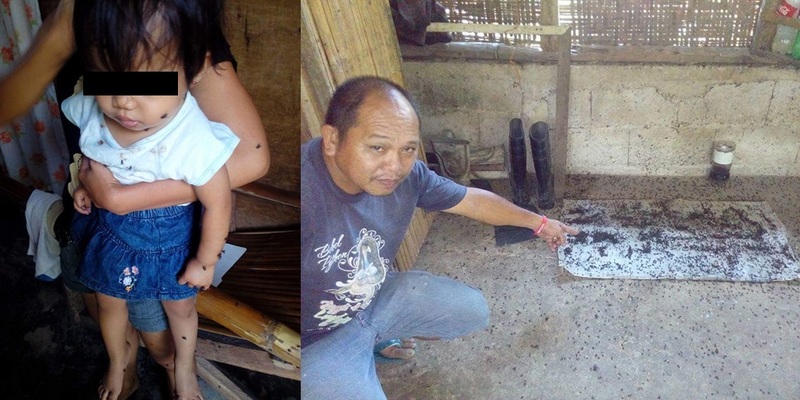 Residents of Sitio Pawa in Barangay Santa Felomina, Alburquerque continued to air their frustration over the infestation of flies that has been pestering their locality for over a decade allegedly due to a nearby poultry farm owned by Efren Tungol, the town’s former mayor. Villagers including Genera Seguran who once worked for said poultry farm lamented that their complaints have fallen on deaf ears as authorities have yet to provide a concrete solution to address their longstanding plight. Residents who spoke on condition of anonymity said that they grappled with swarms of flies each month for 15 days at a time during the farm’s harvesting period. In 2015, villagers staged a rally calling for the farm’s shutdown while the Integrated Bar of the Philippines (IBP) in 2016 offered to provide legal assistance to the residents but operations remained unimpeded. According to residents, officials from the Department of Health, Department of Environment and Natural Resources and other agencies have been visiting the chicken farm but so far, no solutions have been imposed. “Dinhi ag taga DOH gahapon, pero wa man gani pasudla,” Seguran said. For his part, Provincial Health Office chief Dr. Reymoses Cabagnot said that they sent a “sanitary order” to the farm’s management directing them to comply with the PHO’s recommendations within a month after receiving the directive. However, no reply was sent out by the farm’s administrators even after the deadline set by the PHO which was on April 24. The PHO’s recommendations included the improvement of sanitary procedures inside the facility which was intended to address the infestation of flies in nearby communities. According to Cabagnot, a composite team comprised of personnel from various agencies will be formed to again inspect the farm. The health official admitted that the PHO is limited to conducting inspections and the issuance of recommendations as they have no police power to order the facility’s closure which residents have long been clamoring for. “Ang DENR ra may maka-isyu ug closure ana as per non-compliance sa violation nga gisuwat didto sa sanitary order,” said Cabagnot.